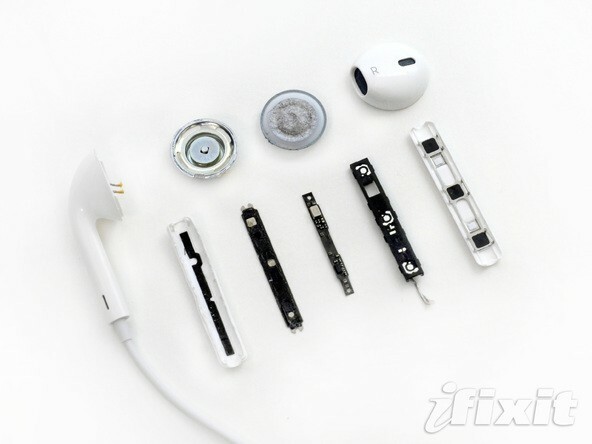 As it could be otherwise, with each new release of Apple iFixit is made ​​to gut them and teach them their bowels. Today it is the turn to Earpods, new Apple headphones. After disassembly, it was found that the strength of the assembly is much better than previous models. In the case of volume control, offers greater resistance against water, and appear durability. They also note that, despite being able to remove it by ourselves, do not recommend it to reassembly will not be as originally came. So if we ever break, you better buy others before making a fudge and we continue dismantling. We recall that the price is 29 euros Earpods.